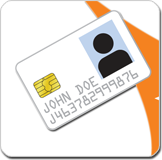 The Smart Card Alliance has released a new report on the state of the smart card market in the Americas, “Smart Cards & Smart Card ICs – Americas – 2010,” created by IMS Research in association exclusively with the SCA. According to Vanderhoof, the report contains over 90 tables and 50 figures designed to help companies identify growth areas and opportunities, and make more educated investments in developing smart card-based products and services. For the report, IMS Research has drawn on interviews with major smart card manufacturers, smart card system suppliers, and semiconductor suppliers to the smart card industry. Estimates of the smart card installed base for 2008 and 2009 with forecasts to 2014. Forecast unit shipment volumes to 2014. Breakdowns by product type, end-user sector and geographic region for smart cards and smart card ICs. Trends and opportunities in fast developing sectors such as payment and banking, and ID. Market breakdowns segmented by smart card type, user sector, memory requirement, core bit-width, card type, and geographic region. Market share estimates for leading vendors in terms of total unit shipments, with additional splits by memory and microcontroller card types. Market share estimates for the first half of 2009 for SIM cards, payment and banking, and e-ID. Pricing and ordering information for the report can be found on both IMS Research’s site and SCA’s site.